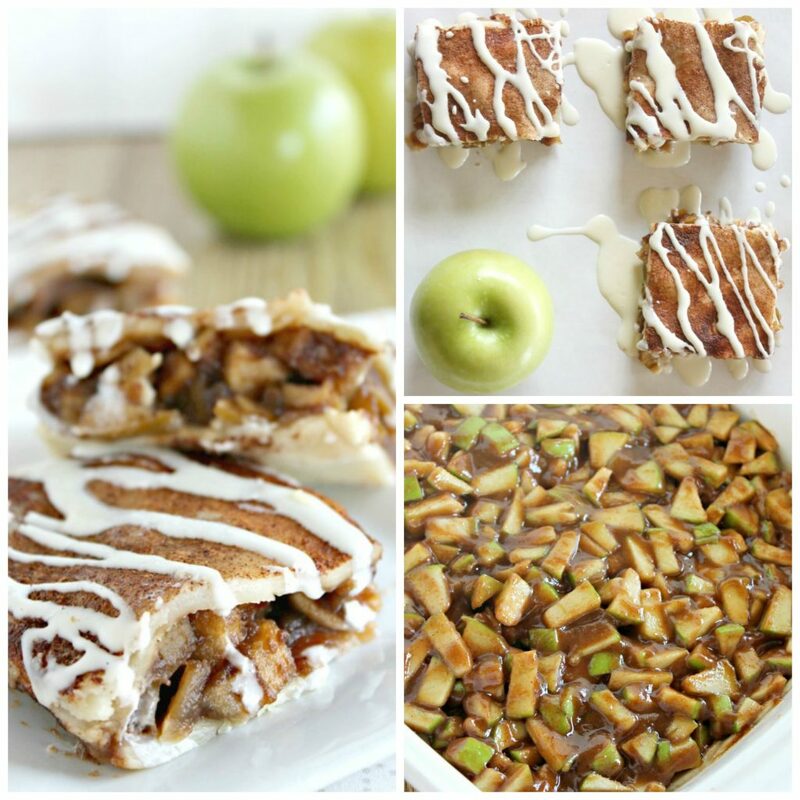 With the weather getting crisp and the leaves turning colors, all I want to do is curl up in my flannel pjs and read a book with the smell of green apples baking. I love fall time! 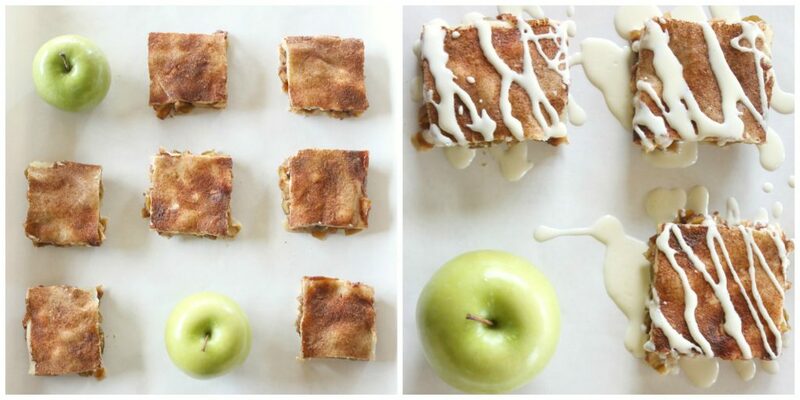 These Easy Apple Pie Bars only have a few ingredients and taste so delicious! In this recipe you need 7 cups of apples. You can either peel them or leave the skin on. I love the apple skin, so I left mine on. 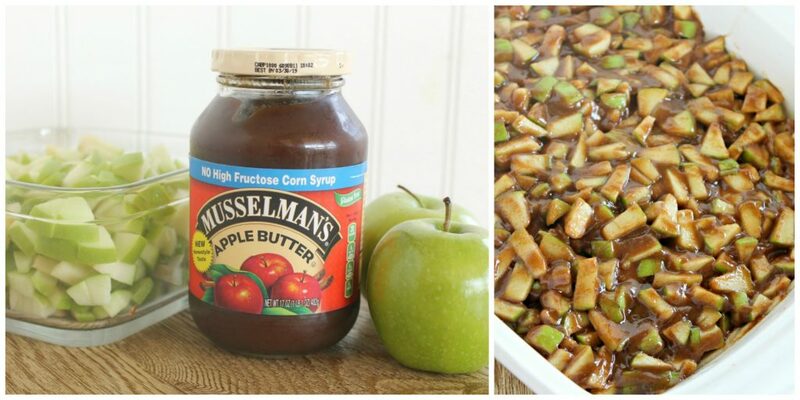 Then you just mix it with Musselman’s Apple Butter, vanilla, and brown sugar. If you have a delicious recipe for pie dough, you can use that, or you can use a pre-made pie crust from the grocery store. Both work great! I used the pre-made pie crust to make them easier. This is such an easy recipe that anyone can put together. Next you add your egg white, cinnamon, and sugar. Bake for about an hour. 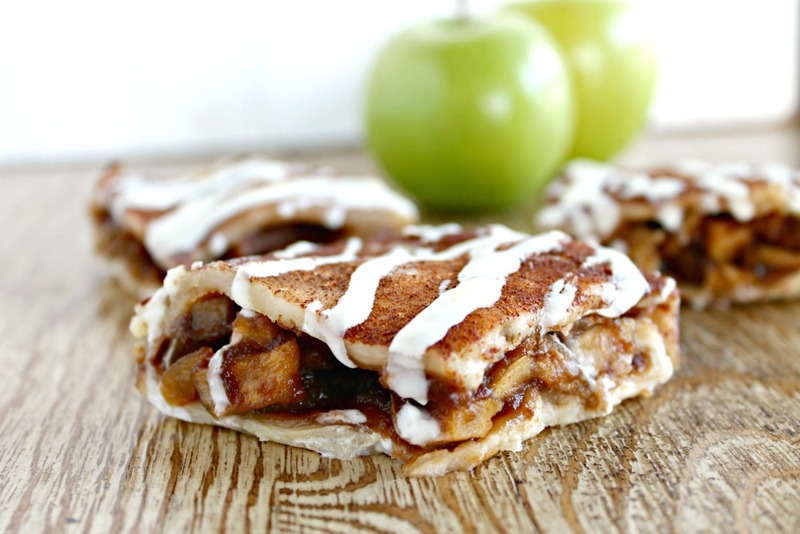 I drizzled mine with a homemade glaze, or you could drizzle it with your favorite frosting! Place diced apples in a large mixing bowl. Add Apple Butter, brown sugar and vanilla and mix until well combined and apple's are evenly coated. Grease of 9x13 pan with non stick spray. Take one pie crust and place it on the bottom of the pan. slowly stretch it out so it covers the bottom of the pan. (I did have to cut some edges off). Take your second pie crust and roll it out with a rolling pin. Trying to make it the same size of the 9x13 pan. This post is sponsored by Musselman’s Apple Butter but recipe and all opinions are my own. Follow Musselman’s here for other delicious recipes and ideas!